Is your little princess crazy about My Little Pony ? Then she’ll love our collection of My Little Pony girls’ shoes . Your little lady can wear shoes adorned with her favourite characters from the show whilst also looking sparkly and stylish. We love that these My Little Pony shoes are bold, glittery and eye-catching whilst also being sturdy, comfortable and cheap. There’s plenty of different shoes to choose from that come in a variety of colourways and designs. We have My Little Pony boots and glittery wellies so your little one can jump straight into those puddles and still sparkle. With our My Little Pony girls’ slippers , she can slip into some really comfy shoes after school to watch her favourite show. There are trainers and sandals too so no matter the time of year, there’s a My Little Pony shoe for even the pickiest princesses. Not what you’re looking for? Head to our girls’ section to see more offerings from top shoe brands. As always, all of our shoes come at great, low prices and we also offer free & fast delivery or click & collect if you’re passing by one of our branches. 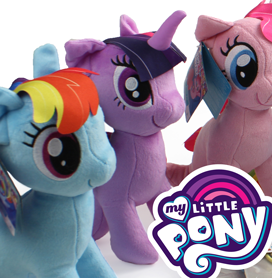 You’ll find all our My Little Pony shoes below, so you can make her day.